The definitive history of Rauceby is Rauceby Reflections by Gwyneth Stratten. She was the Senior Library Assistant at Rauceby and collected an archive of information as the hospital closed. The 50 page booklet features many black-and-white archival pictures of the institution and the people who worked there. The majority of the book was written in 1992 which a short epilogue dated 1997. I had long wanted to fully document an asylum, and whilst sneaking around and snatching what I could from urban exploration worked to an extent, there was always the realisation that to do things properly would require some form of permission. Still I worked on Rauceby. All the exteriors were photographed on 18th January 2004, and I’d collected some limited interior shots from various infiltrations. My big break was after a call from the BBC. 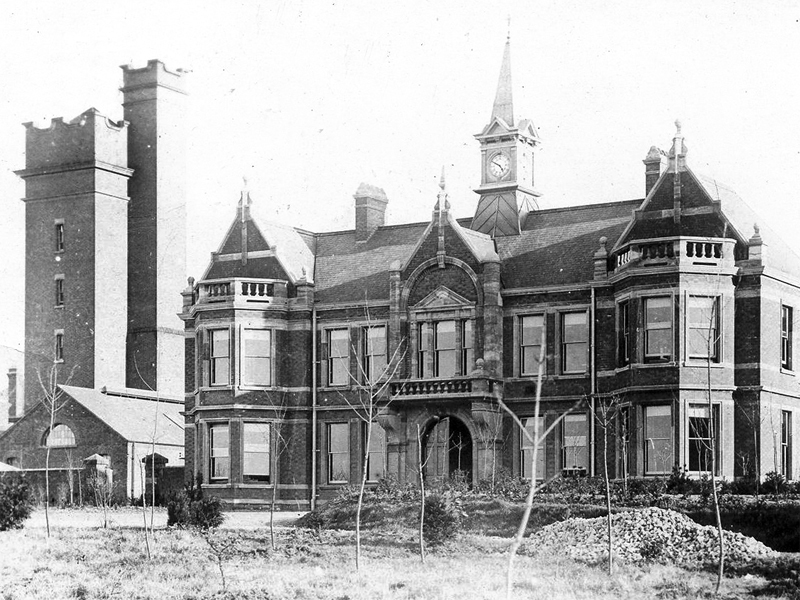 A regional programme called Restoration Nation (a Restoration spin-off) were attempting to document the conversion of asylums. 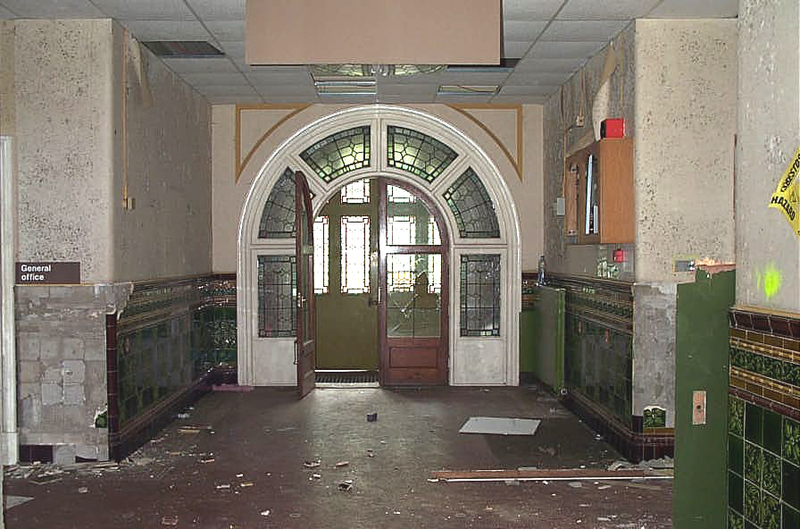 After setting up interviews at Severalls, they had to call off the project, as NHS Estates would not allow permission to film. They then contacted me. I suggested Rauceby. They had permission within a day. On the 10th May, I was interviewed in one of the airing courts, with Hine’s elegant red-bricked buildings behind me. Then, with permission to roam, I walked the corridors, snapping everything I could. With these pictures, Rauceby will become the most extensively documented asylum on the Internet. Enjoy. (I'm only covering the main building with this part of the website. The other buildings scattered around the site were Ash Villa (still in use), the Nurses' Home, Verbena (gutted and derelict on the back road), Orchard House (off the main drive, north of the main building, built in the 1930s and used by Archibald McIndoe as The Guinea Pig Club ), Staff Houses, The Cresent, The Senior Staff Houses and The School Of Nursing which used to be the Superintendent's House (complete with stable block and servants quarters)).
" Just wanted to let you know how much I enjoy your site, especially the virtual asylum. I grew up about 5 miles from Rauceby Hospital and the place was the stuff of legend for all the local kids. Any kid that was naughty was threatened with being sent there, knowing someone who was in there made you something of a celebrity and actually visiting the place and coming out alive made you a hero. I remember visiting a couple of times as a kid, once with my godmother who worked for the NHS locally (I think it must have been school holidays or something and she was looking after me but had to go in for some reason) and once for something at Christmas, possibly my dad doing one of his musical turns for the patients. It was very much like the cliched asylums in films - slightly odd looking people in dressing gowns shuffling around, lots of un-naturally cheery nurses and horrible decor. " " I have just viewed your pictures of a derelict Rauceby Hospital and it brought back vivid memories of my early days in nursing in the early 1950s. I flicked through the various shots of the wards and the titles etc. and I remembered back before they were called Hazel Ward, Cedar Ward, Willow ward etc. Hazel Ward was the old Hospital Ward. Cedar Ward was Central Ward which was a locked ward and contained violent and dangerous patients - one of those side rooms down towards the back entrance was a padded room. " 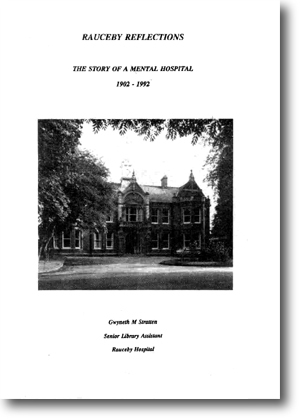 " I was on the staff at this hospital from Jan 1951 - 1956 when Mr Clemmitt was the Chief Male Nurse and he lived in the house at the bottom of the drive which went past the nurses residence and out opposite the golf club. I moved on to Rampton Hospital and then Victoria Hospital, Worksop. " 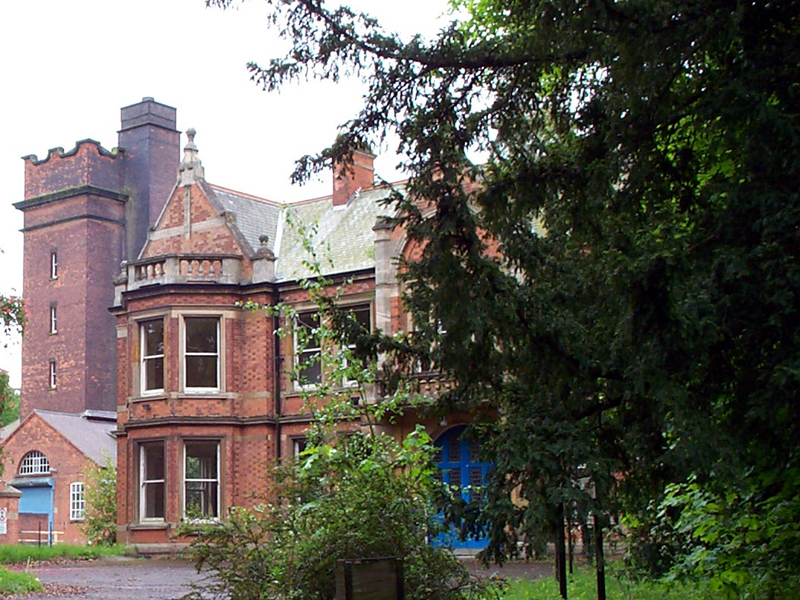 " With the demolition of Rauceby Hospital only Rampton remains of my three nurse training schools. " " I am now 76 years old and still nursing at Sutton Lodge Nursing Home at Sutton-on- Sea. " " Thanks for the pics and the memories. If I can be of any help about Rauceby Hospital I will be only to pleased." - Mr C. P. Charlesworth RGN. RMN. RNMH.
" Your photos of the mortuary brought back some chilling memories of taking bodies from wards down there in the middle of winter, by tradition, the undertakers used to pay us a pound when they collected the bodies!! Syringa ward was the ECT suite, or electro convulsive therapy (shock treatment), it always had a smell of electricity about it, we still use ECT today (i am a psychiatric nurse in Yorkshire). Your photos of the hospital radio ‘shack’ made me laugh out loud, I spent a lot of time in there Djing and chilling out, it was just as it was when I left. " This part of the site is still under construction. Historical and recent pictures of the hospital and grounds. The Farm Buildings (by Steve). What Remains: 2009 (by Steve). What Remains: 2010 (by Mark). Comparisons With Hellingly (by Peter).